Eighteen years ago, Doria Robinson, a third generation Richmond native, was studying Buddhism philosophy, and Tibetan language and culture in a monastery in Dharamsala, India. She was as far away from her hometown as she could be. 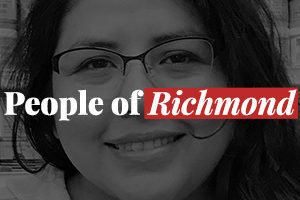 Now she’s back in Richmond, helping residents gain access to healthy food and urban gardens.